The Snowman (film, 2017). A 2017 psychological crime horror thriller film with "R" rating by Universal Pictures. Directed by Tomas Alfredson. Official Trailer. The Snowman is a 2017 psychological crime horror thriller film directed by Tomas Alfredson. 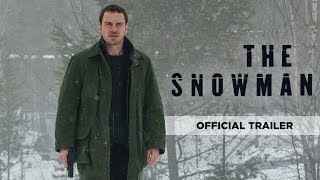 The Snowman - In Theaters October 20 - Official Trailer (HD). At a remote cabin amidst heavy snowfall, a brutal man named Jonas confronts his lover about their illegitimate son, who leaves the house and builds a snowman. The woman threatens to tell Jonas' family about the child, and Jonas leaves angrily in his car. The woman and her son pursue him, but lose him in the snow. She lets go of the steering wheel, causing the car to drive off the road onto a frozen lake. The boy manages to escape from the sinking car, but the woman stays inside in an apparent suicide. Harry Hole is a brilliant but troubled inspector with the Norwegian Police Service's Oslo district, struggling with the aftermath of his break-up with his girlfriend Rakel and her new relationship with Mathias, a renowned surgeon. Harry was very close to her son Oleg, who is unaware that Harry is his biological father. Oleg mentions, on an outing with Harry, that his mother (Rakel) refused to let him search for his father. Harry receives a mysterious letter signed with the drawing of a snowman, and is paired with a brilliant new recruit, Katrine Bratt. The two are assigned to a missing persons case of Birte Becker, who vanished from her house after being followed home by a red Volvo. The police receive a report of another missing woman named Sylvia Otterson. When Harry and Katrine travel to her farmhouse to investigate, they find her alive and well. They brush the report off as a prank call and leave, but shortly thereafter a figure wearing a black ski mask stalks and kills Sylvia outside her house, using a wire fastening harness to decapitate her. Harry receives another call about Otterson, and returning to the farmhouse comes face-to-face with her identical twin sister Ane. They search the property and find Sylvia's beheaded corpse inside her barn, and her head atop a snowman inside an empty storage tank. Principal photography on the film commenced on 18 January 2016 in Oslo, Norway. 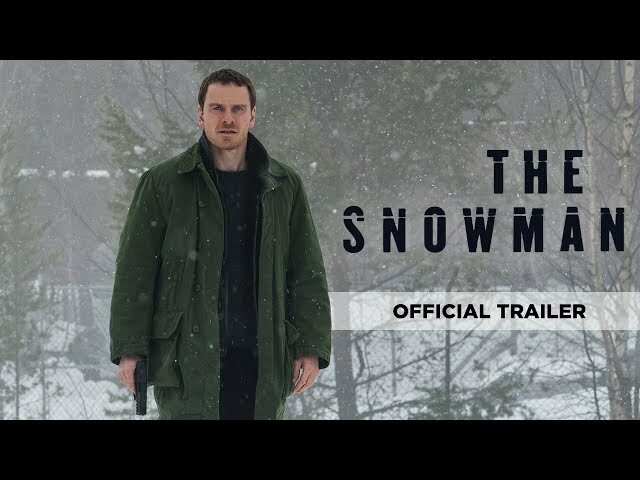 The film The Snowman was scheduled to be released by Universal Pictures on October 7, 2017 (Haifa), on October 12, 2017 (Denmark), on October 13, 2017 (United Kingdom), on October 19, 2017 (Germany) and on November 17, 2017 (Turkey). The duration of the film is 119 minutes. With a budget of $35 million, the film grossed over $43.1 million. The Snowman got low rating from critics. The audience dislikes the film either. Audiences polled by CinemaScore gave the film an average grade of "D" on a scale ranging from A+ to F.